This looseleaf service provides practical, comprehensive and detailed information on setting up a trust, and managing and administering it once it has been established. It addresses not only legislative demands of each jurisdiction covered, but also discusses the pros and cons of one jurisdiction as opposed to another with reference to law, financial issues and taxation. 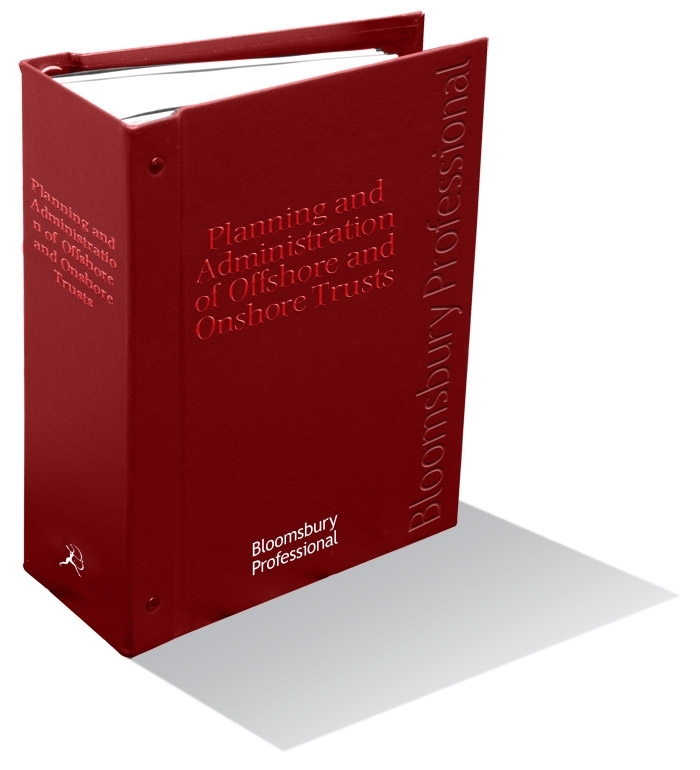 Subscribers will be kept fully updated on the key issues and developments, for example the advantages and disadvantages of setting up offshore trusts, conflicts of law, administrative responsibilities and litigious matters. Written by a team of highly-qualified contributors, headed by a team of well-respected editors.